Abstract—With the rapid development of network finance and electronic commerce, the network and information security problems are more complex and prominent, and economics of information security has also become a hot research topic. This paper uses AHP (analytic hierarchy process) method to find the weakest link in the interdependent security chain. And the result can help information security investment decision-making. This paper firstly introduces research background including current research situations about interdependent security and the weakest link in network security. Then it introduces problems about the information system security in corporations’ security chain, finally modeling the AHP method to find the weakest link in interdependent security chain and gives a conclusion at last. Index Terms—Information security economics, AHP, the weakest link, interdependent security. The authors are with Southeast University, Nanjing, China (e-mail: panchongxia@163. com, zhongweijun@seu.edu.cn, meishue@seu.edu.cn). 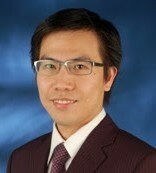 Cite:Chongxia Pan, Weijun Zhong, and Shue Mei , "Finding the Weakest Link in the Interdependent Security Chain Using the Analytic Hierarchy Process," Journal of Advances in Computer Networks vol. 3, no. 3, pp. 320-325, 2015.